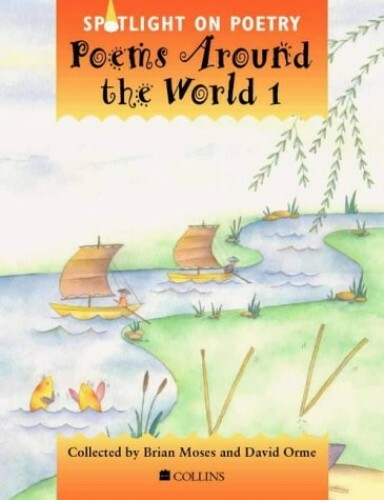 Carefully chosen to appeal to appeal Key Stage 1 students, this poetry selection features such poets as John Agard, Valerie Bloom, James Berry and the work of many other poets from a variety of countries. Stunning new poetry anthologies especially devised and written to fit the National Literacy Framework requirements. Includes big books, smaller readers and teacher's notes for Key Stage 1 and 2. * The selections meets the range of objectives for poetry and the National Literacy Strategy as specified in the Literacy Framework. * The poems have been put together by David Orme and Brian Moses, two well-known children's poets. * The Poems Around the World selection features poets such as John Agard, Valerie Bloom, James Berry and the work of many other poets from a variety of countries. * The poems have been carefully chosen to appeal to the age ranges. There are 3 levels in each strand, corresponding to KS1 (Poems Around the World 1), Years 3/4 (2), Years 5/6 (3). * Literacy selections include a Big Book for shared work and six readers for guided and independent work. The readers contain all the material in the Big Book plus some additional material e.g. extra poems or full versions of poems that appear as extracts in the Big Book. * Each level will be accompanied by Teacher's Notes which match the poems to the NLF, provide teaching ideas and photocopiable Activity Masters. * There are two other strands in the Spotlight on Poetry series: Classic Poems and What kind of Poem?